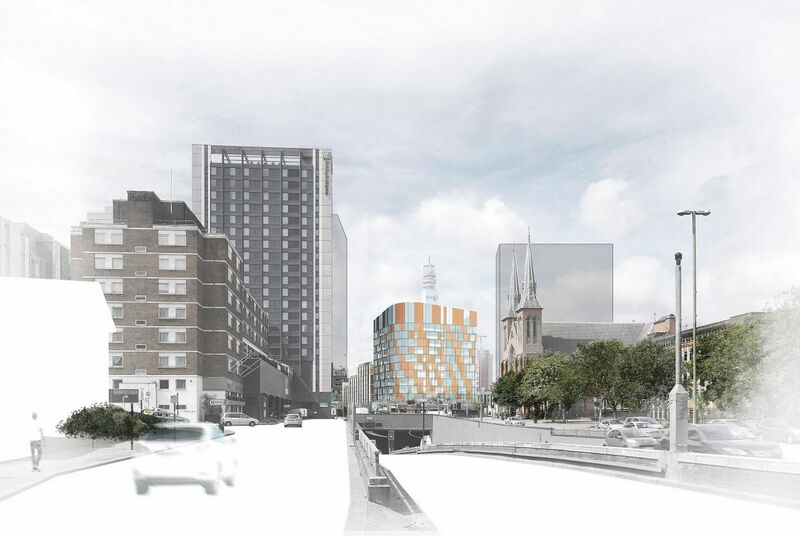 New images have been revealed today as a public consultation launches over plans for a £100 million mixed-use development on the edge of the Jewellery Quarter. To be called Great Charles Place, the development will be Birmingham’s first private rented sector (PRS) scheme. It is being led by funder Long Harbour and developer Sterling Property Ventures, the company behind the Lumina scheme and the replacement for the NatWest Tower at 103 Colmore Row in the city centre business district. The £55 million first phase of Great Charles Place, to be built on the city council’s Ludgate Hill Car Park, includes 320 apartments ranging from studios to three bedrooms - down from the original figure of 350 - 20,000 sq ft of ground floor retail and leisure space and a mix of units, totalling 8,000 sq ft to cater for small businesses. There will also be 100 car parking spaces for residents and the apartments will have a dedicated reception with 24-hour security, porter service, a communal garden and shared roof terraces. London-based Long Harbour will retain ownership of Great Charles Place, managing and operating the residential apartments, and the project is its first investment in Birminghamand also the first institutionally backed PRS scheme in the city. Sterling Property Ventures entered into a joint venture agreement to develop the pay and display car park with the council in June 2013. A detailed planning application for the apartments, retail and leisure space and small business units will be lodged in October. At the same time, Sterling Property Ventures will seek outline planning permission for the second phase of the scheme - a 205,000 sq ft office development with 40 basement parking spaces. The grade A offices will have with floorplates of around 15,000 sq ft over 14 floors. It is anticipated that work on Great Charles Place will begin in January 2016, with the apartments available to rent from early 2018. The consultation event runs until 7pm tonight at St Paul’s Church, in St Paul’s Square.